Hwarang (화랑 花郎) – “Flower man.” The term Hwarang is used in ancient Korean historical texts to refer to the leaders of a youth organization in the ancient kingdom of Silla. Although this term occasionally encompasses all the members within this organization (i.e., “Flower knights”), it technically designates the young men who were cultivated to fill significant roles in politics, civil service, and the military. These individuals were selected exclusively from the royal family and aristocracy and led members of the broader public who are described below as Rang-do. Hwa Rang Do (화랑도 花郎道) – “The Way of the Flowering Manhood.” The name Hwa Rang Do is the martial art identity founded in 1960 by Dr. Joo Bang Lee. He is the one who created the syllabus of this martial art system for public instruction. He combined the spirit and philosophy of the ancient Hwarang warriors with the ancient secret Hwarang combat skills of Um-Yang Kwon (음앙권 陰陽拳) that were passed to Dr. Lee from his master Suahm Dosa. As evident from their hanja spelling, the ancient Hwarang-do (花郎徒) and the martial art name Hwa Rang Do (花郎道) are different identities. They have the same Korean and English spellings, but their meanings are different. The historic term Hwarang-do refers a group of people (徒), while the name associated with the martial art Hwa Rang Do refers to a “Way” or “Art” (道). In addition to the confusion caused by terminology, there are many martial arts and practitioners who make unfounded claims about their art and its relationship with the ancient Hwarang system. There are claims that Korean Tae Kwon Do came from the Silla Hwarang. Other Tae Kwon Do practitioners say that their art came from the ancient Koguryo kingdom. 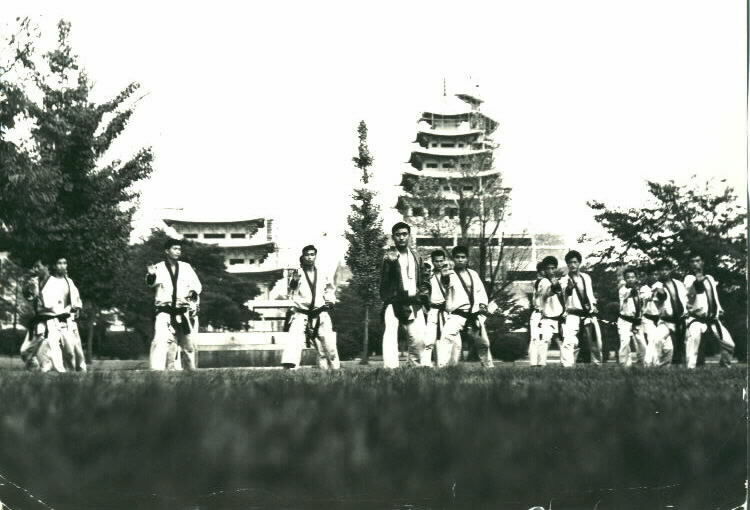 Hapkido practitioners make similar claims of connection to the Silla Hwarang, to Silla royal court martial skill techniques, and even Koguryo or Kochoson roots.These claims have arisen from inaccurate historical accounts and in some cases are mere fabrications. There are many who claim and copy the history of ancient Silla’s Hwarang and use this as the history of their own martial art. This is not just a problem for the martial art Hwa Rang Do, but it is also a problem for all other martial arts. The quality of the identity and integrity of our martial arts is our honor. As this quality diminishes, the honor of all martial arts is destroyed and creates great public confusion. That is why we must know the truth of history and follow the tradition of our martial art that history has left us. This is a clearly a serious problem related to the history of all martial arts, and the modern martial art of Hwa Rang Do in particular. The problems related to the history of the ancient Hwarang have not all been introduced deliberately. Even the Encyclopedia Britannica once confused the identities of the ancient Hwarang and the martial art Hwa Rang Do. Before 1974, they translated the references to the ancient Hwarang (화랑 花郎) and Hwarang-do (화랑도 花郎徒) accurately as “Flower Knights.” However, in later editions they changed their translation to “The way of the Flowering Manhood.” This is the translation that we first used for the martial art identity Hwa Rang Do. As our martial art name gained popularity in the 1970′s the Encyclopedia Britannica derived this translation from our publications. Please remember that the traditional terms Hwarang (화랑 花郎 – “Flower Man”) and Hwarang-do (화랑도 花郎徒 – “Followers of the Flower Knights”) and the martial art Hwa Rang Do (화랑도 花郎道 – “The Way of the Flowering Manhood”) are different names related to different identities. This is an example of how mistaken historical references have been created. Whether done intentionally or unintentionally, it demonstrates how careful we must be in confirming historical data. Hwa Rang Do is very unique from other martial arts in that its founder is still present to clarify the origins of the art. The founders of most other martial arts have passed away and their students have created many different “kwan” (관 館), “ryu” (류 類), or “won” (원 院) from their one original martial art name. Because of this there are so many different and conflicting histories for the same martial art name. 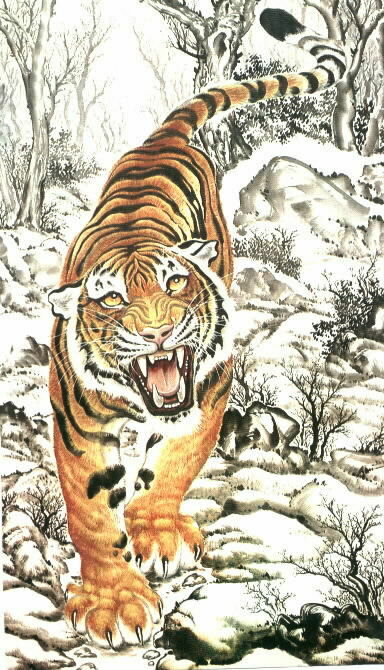 However, the history of Hwa Rang Do set forth here is the one true history of our art’s identity. Our founder, Dr. Joo Bang Lee, is the one who brought this art to the public and is the one and only source for the aspects and techniques from this tradition. The roots of the martial art Hwa Rang Do are from the ancient Hwarang warriors of the kingdom of Silla. These combat skills and the Hwarang title have survived the test of time by being passed down for fifty-eight successive generations to our founder. The Hwarang system is still intact, and we too regard our instructors and masters as Hwarang, and our students and disciples as Rang-do. Through our adherence to the Hwa Rang Do Maeng Sae, the five traditional tenets of the Hwarang, and our founder’s nine principles of human morality, we will have the strong moral mentality to ensure that our martial art Hwa Rang Do will be passed on for at least another 2,000 years! 2. Who were the Hwarang? Besides religious instruction, the Hwarang were taught traditional dance and songs for their emotional development. Literature, the arts, and sciences were taught for their academic development. They were also taught the art of warfare, archery, combative skills etc. Their combat skills are based upon the concept of the unity of opposites embodied in the um-yang (음양 陰陽). Their empty-handed fighting techniques were known for their blending of the hard and soft, linear and circular attacks. A linear thrust punch could break through the wooden armor of an opponent and kill him instantly. They could also spin kick at such speeds that their enemies frequently thought that the feet of the Hwarang warriors were swords. Also they learned 108 different weapons within their curriculum. The eighth century Silla historian, Kim Taemun, noted in his Hwarang chronicle. “Sagacious counselors and loyal ministers follow the Hwarang and Rang-do; they produce great generals and brave soldiers.” The rank of Hwarang signified the position of a teacher of the their combat skills and he commanded 500 to 5,000 students, who were called Rang-do. A Kukson possessed the rank of head general (Dae Jang Gun) in the army. The ferocious fighting spirit of the Hwarang warriors became legendary, and their exploits were recorded for posterity in Hwa Rang poetry and literature. The Hwarang narratives of the Silla dynasty became the basis of the classical novel that formed the backbone of Korean literature for a thousand years. One of the most famous stories eulogized by Hwarang literature is the martyrdom of the son of General P’umil, who died in the wars of unification. Kwan Chang was a Hwarang commander at the age of sixteen. He was captured during a battle with Paekche, one of the western kingdoms. Since his high-ranking battle crest indicated he was the general’s son, he was taken before the Paekche general. Lifting his war helmet, the Paekche general was taken aback at his youth. Thinking of his own young son, he decided against execution, which was the usual fate of the captured officers, and returned him to Silla lines. 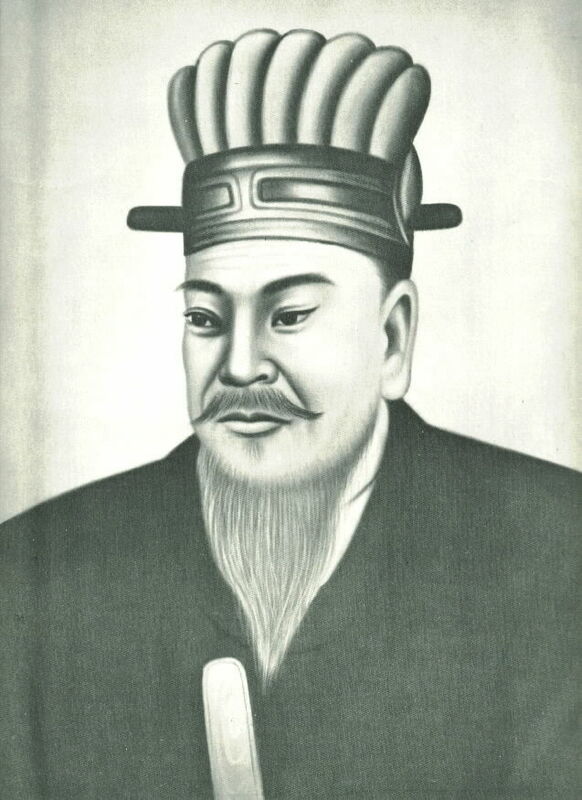 Kwan Chang went before his father and asked that he be sent back into battle at the head of his men. General P’umil agreed. He was captured after a day-long battle, but after he was disarmed, he broke loose from his guards, killing both of them by hand and attacked the Paekche general’s second in command. A leaping, spin kick killed the commander as he sat on his horse, a full eight feet in the air. Finally subdued, he was taken before the Paekche general. Much distressed over the loss of his chief commander, he told Kwan Chang, “I gave you your life once because of your youth, but now you return to take the life of my best field commander.” This time the Paekche general returned the boy’s head attached to the saddle of his warhorse. At the Silla line, General P’umil grasped his son’s head and wiped off the blood with his sleeve. “My son’s face is as when he was alive!” he shouted to his men. “He was able to die in the service of the king. 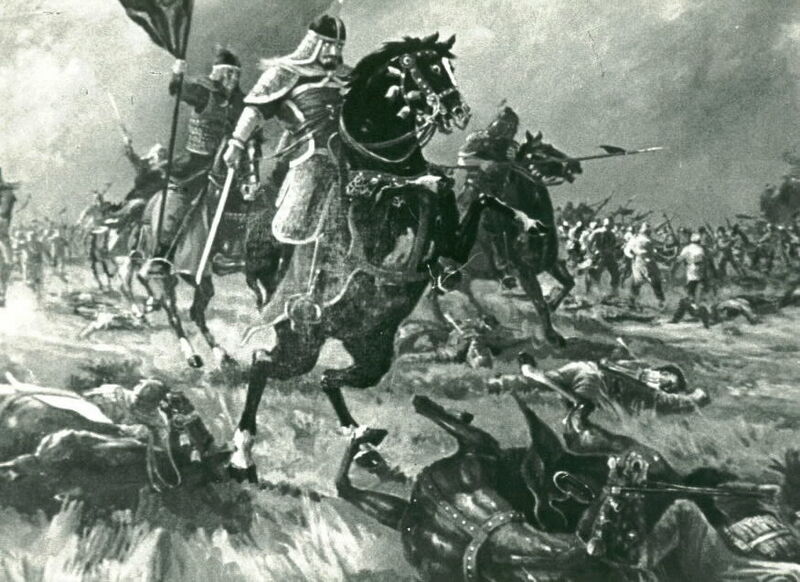 There is nothing to regret.” The General rode back into battle to complete the final defeat of Paekche. 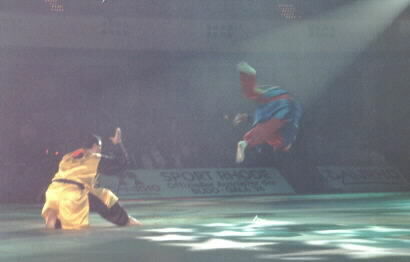 This was the famous Hwang San Bul battle and the story became legendary throughout Korean culture. Heroic legends of the Hwarang warriors were preserved in many forms: dances, poetry and literature. They were told and retold from one generation to another and provided an example for the youths of each generation to follow. The fighting spirit of the Silla warriors was so widely known that even the most powerful enemies hesitated to attack. One of the most famous stories about the young Hwarang general named Yusin Kim illustrates the respect that the country of T’ang (as China was known in this period) had for the people of Silla. General Kim was fifteen years old at the time he became a Kukson and commander in the army. Some years later China and Silla were in an alliance in a war against Paekche. 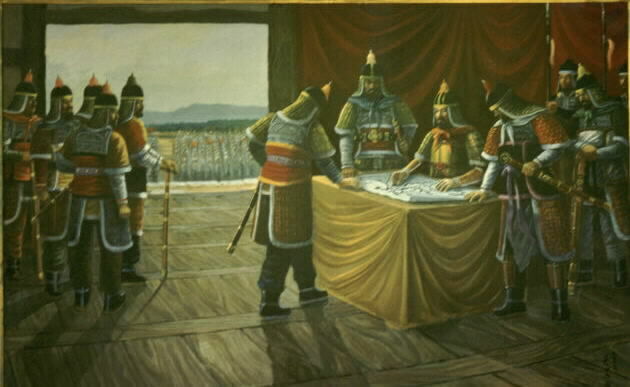 The Silla armies had engaged Paekche in a battle and defeated them. But the battle had taken several days and it caused the Silla commander, Moon Yong Kim, to be late for a meeting with the Chinese general, who was the top commander in this temporary alliance. Another story that reveals the depth of familial bonds of the Silla period concerns the death of the Hwarang General Bi Nyong Ja. Asked by General Kim to lead a suicide attack against a large Chinese force. Hwarang Bi Nyong Ja replied, “You have given me a great honor to show loyalty to my king and country.” He then requested that the general watch over his son and prevent him from following him into battle. Since Hwarang Bi Nyong Ja had only one son, he was concerned that his family name would not live another generation. General Kim assured him that he would watch over his son. Hwarang Bi Nyong Ja entered battle and was killed. Upon witnessing the death of his father, the son mounted his horse and followed his father into battle and was killed too. Then followed the house manager and servant who were also killed. The whole Silla army witnessed this act of loyalty and, swept with a wave of sympathy for this act of sacrifice, charged into battle to avenge the death of the Bi family. They defeated the Chinese armies and saved Silla from almost certain conquest. Fraternal loyalties among the Hwarang warriors were frequently as strong as familial ties. Another story is about Hwarang Sadaham who was fifteen years old when he became a Hwarang under King Chinhung. In a war with the Northern kingdoms, Sadaham pleaded with the King that he be allowed to lead the first attack. In spite of Sadaham’s young age, the King consented so as to demonstrate the bravery of the Hwarang youth. 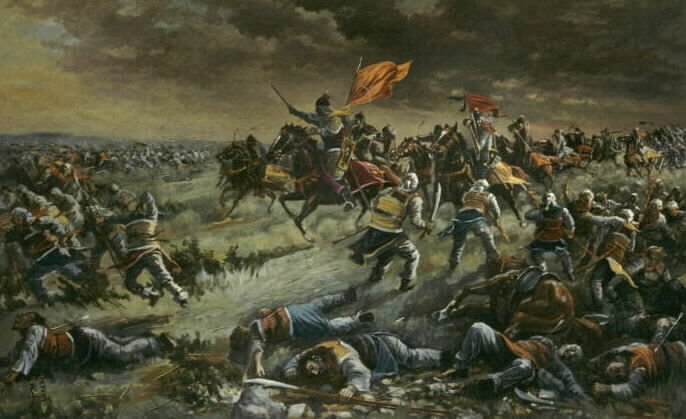 Sadaham led the army into battle against a fortress and he was the first to breach the gate. For his bravery, King Chinhung gave him 300 slaves from the defeated army, but Hwarang Sadaham gave them their liberty and wished no personal rewards for his deeds. 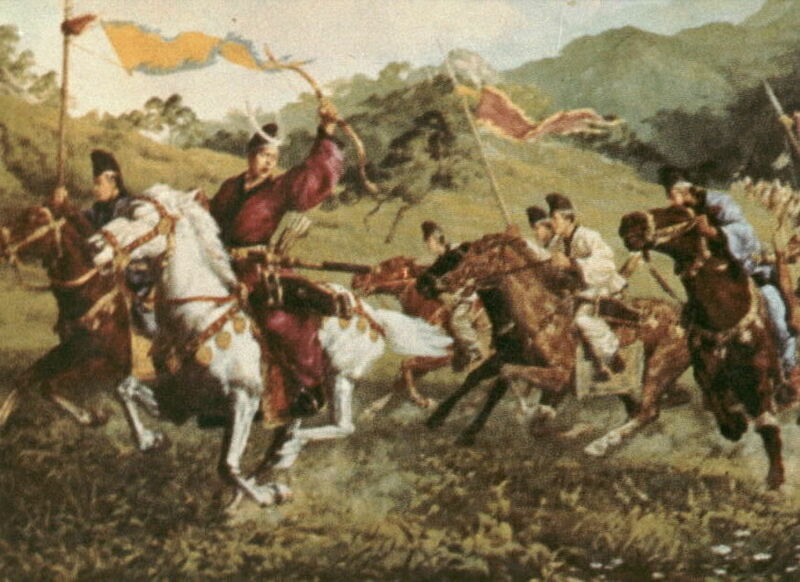 In this war, Hwarang Sadaham lost his closest comrade, Hwarang Mu Kwan Rang. From early childhood the two young friends had a death pact that obliged each to commit suicide should one or the other die in battle. Sadaham heard of his friend’s death and fell into remorse and mourning. He refused to eat or sleep for seven days. He died on the seventh day, and his sacrifice was eulogized in Hwarang records for centuries to come. The story of Hwarang Wonsool, the second son of Yusin Kim, Supreme Commander of the Silla army, is similar in its importance. Hwarang Wonsool was a lieutenant in the army when it suffered a defeat at the hands of Chinese troops. Upon his return, his father requested permission from King Munmu to execute his son for the disgrace he brought on the family and the country. But King Munmu replied that the boy was not in command and thus was not responsible for the defeat. Nevertheless, the father banished his son into exile in the mountains as a monk. When the father died Wonsool came back down from the mountain to face his mother, but she refused to see him replying that she would not violate the father’s command. Wonsool returned to Tae Bak Mountain. Some years later China launched another war. Hwarang Wonsool heard of the impending war and returned to the King to request that he be allowed to enter the battle. He was given a command and performed brilliantly. King Munmu wanted to reward him, but Wonsool refused, saying that his family held him in shame and that he could not accept. He returned to his mountain once again to live out his life as a hermit monk. These stories, which became part of the Korean folklore and heroic legend, were not idle fairy tales. They served as models of the martial code of chivalry. This code evolved into a system of ethics and morality that was essential to the Hwarang warrior’s mentality. Ego and self-interest was never sufficient to sustain such a commitment. The Hwarang code of ethical behavior was developed by the monk Wonkwang Bopsa. He told his young disciples, Hwarang Kwisan and Ch’uhang, that there were ten commandments associated with the Buddhist ordination, but they would not be able to completely follow. As a result, he created five rules for the Hwarang to follow as rules for life. From this point on these five rules have become known as the Hwarang O-Kae (오계 五戒 – Five Rules of the Hwarang). These five rules have been passed down and held by the Hwarang warriors of every generation since Wonkwang Bopsa first gave them to his two Hwarang disciples about 600 A.D. This Hwarang system continued throughout the Koryo dynasty (935-1392 A.D.). However, during this time the name was changed to Kukson-do (극선도 國仙徒) and P’ungwol-do (풍월도 風月徒)*. Even so, this system existed in the same capacity until one Hwarang general named Sung Gae Yi (or Lee) took over the Koryo kingdom and established the Yi dynasty (1392-1910 A.D.) or Choson Kingdom. His son, King T’aejong, destroyed the Hwarang system when he initiated a policy that ordered all of the independent Hwarang generals to submit their personal soldiers under his control. King T’aejong was afraid of the power that the individual Hwarang generals had. King T’aejong believed that the possibility of another strong general attacking his reign was great. So this policy was created in order to destroy all of the power that these individual generals held. This act eliminated the Hwarang system from the public which was based on the relationship between the general (將軍 – Jang Gun) and his soldiers. After giving the king their soldiers, some Hwarang Kukson-do (극선도 國仙徒) and P’ungwol-do (풍월도 風月徒) generals left the kingdom. They left society and turned to mountain life or became monks. For almost six hundred years the Hwarang system and Hwarang combat skills vanished from the public society of Korea. The combat skills of the ancient Hwarang were only passed secretly from one monk to his successor. Eventually these skills passed to Suahm Dosa, the 57th generation Hwarang title holder and master of the secret ancient Hwarang combat skills called Um-Yang Kwon (음앙권 陰陽拳). He in turn, passed these secret skills to only two young boys, Joo Bang Lee and his brother, Joo Sang Lee. ***P’ungwol-do (풍월도 風月徒) = A term that refers to moral character and proper observance of customs and protocol. Cf. Peter H. Lee, The Lives of Eminent Korean Monks: The Haedong Kosung Chon (Harvard University Press: Cambridge, Massachusetts, 1969, pp. 67-68) and Richard Rutt “The Flower Boys of Silla” (Transactions of the Korean Branch of the Royal Asiatic Society. Vol. 38, October 1961, pp. 11-12). The tradition of the Hwarang system has been an incredibly influential force and its impact was strongly felt in the East Asian region in ancient times, and has also reverberated through time, leaving a lasting mark for us. 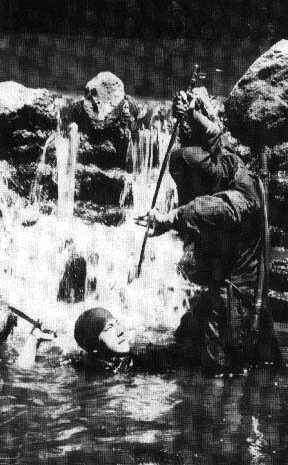 The Korean combat skills originally began over 5,000 years ago with the formation of the Kochosun kingdom. In order to protect the people and their territory this kingdom began the development of a strong combative system. Later, over 2,000 years ago, the kingdom of Silla (BC 57) was formed and they began the development of their own warrior system. The Hwarang-do (花郎徒) system eventually spread to Japan and was probably influential in the development of the Japanese Samurai system and Bushido (Korean Musado), the moral outlook followed by both the Hwarang and Samurai. During this time much of the Japanese culture originated from the Korean kingdoms of Silla, Koguryo and Paekche. In addition to products and social customs, martial aspects were undoubtedly passed across the East Sea. The counterpart of the Silla Hwarang Jang Gun (화랑장군 花郞將軍) was the Japanese Shogun (쇼군 將軍), and the counterpart of the Silla Rang-do (랑도 郞徒) was the Japanese Shogun’s soldiers (his samurai) call Ryojin (료진 郞人). It has been suggested that Shinra Saburo Yoshimitsu, the founder of Jujitsu (柔術), may even have been from Korea. This would indeed be significant since Jujitsu was the precursor of Judo (柔道, founded in 1910 by Jigoro Kano in Japan), Aikido, and Hapkido (合氣道). In fact, Yoshimitsu is considered to be the founder of Daito-ryu (big eastern) Jujitsu, an art that was transmitted through the Minamoto family line and then to their descendants, the Takeda family (from which both Aikido by Morihei Ueshiba and Hapkido by Yong Sul Choi developed). The basis for this claim is rooted in the fact that in Korean his name is pronounced as “Silla Samrang” (신라삼랑) and many Koreans who moved to other countries and used the name of their country as their given name because they still felt strong ties to their homeland. However, the connection between Shinra Saburo and Silla is questionable. One should note that Shinra Saburo (新羅三郎) was a secondary name of Minamoto no Yoshimitsu (1045-1127), a sixth generation descendant of Emperor Seiwa (r. 858-876). The name Shinra (新羅) was given to him in association with the Shinra Zenshindo shrine, the Shinto shrine where his adult initiation rite was performed. Saburo (三郎, “third man”) indicated his position as the third son of Minamito no Yoriyoshi. His two older brothers Yoshiiye (1039-1106) and Yoshitsuna (1042?-1132) were given names following the same convention. Hachiman Taro (Yoshiiye) is based on the Iwashimizu Hachiman-gu Shrine in Kyoto and his position as the Taro or oldest child (一郎, “first man”). Kamo Jiro (Yoshitsuna) was given his name because his initiation rite took place at the Kamo Shrine in Kyoto and he was the Jiro or second son (二郎, “second man”). Nevertheless, the potential influence of the ancient secret combat skills of the Hwarang upon subsequent Japanese martial arts should not be dismissed. Japanese soft styles such as Judo (柔道, mostly a sport version of throwing and choking), Daitoryu Yawara (大東流柔術, the same as Aiki Jujitsu 合氣柔術 comprised mostly of throwing, joint manipulation, and grappling), and Aikido (合氣道, mostly involving the use of an opponent’s strength and joint manipulation) were the same skills that evolved from Jujitsu. In Japan the Daitoryu Yawara (Aiki Jujitsu) and the Jujitsu names have mostly fallen out of use since World War II, and presently these branch schools usually appear as Judo and Aikido schools. The Jujitsu that has become popular in present times is called Brazilian Jujitsu and is mostly focused on grappling and ground locks. All of these Japanese soft-style skills share many similarities with the soft-style “Yusool” skills of the ancient secret combat skills of the Hwarang transmitted as “Um-Yang Kwon” (음앙권 陰陽拳), a name that expresses the combination of Yusool (유술 柔術 – soft skills) and Kangsool (강술 剛術 -hard skills). Given the early influence of Korean culture on Japan, some of these similarities probably reflect roots in the strong warrior spirit of the ancient Korean Hwarang tradition. 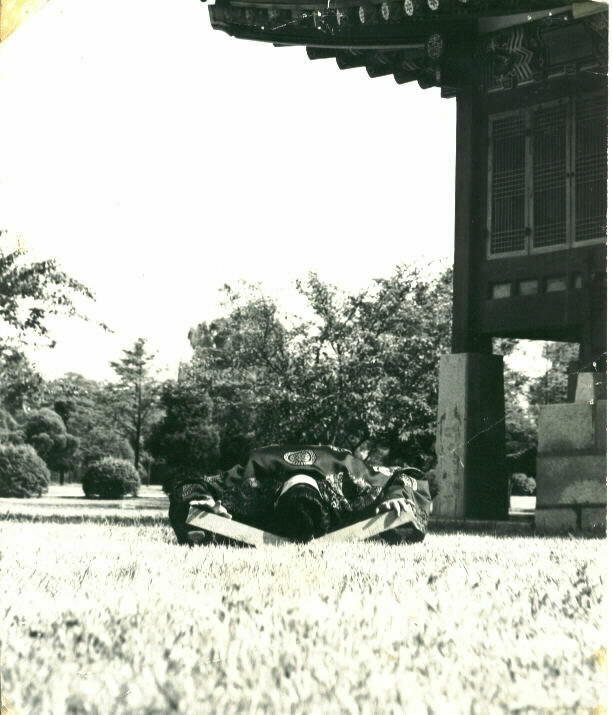 Hwa Rang Do’s Founder, Dr. Joo Bang Lee, comprised the curriculum of his martial art within the framework of both Musool (무술 武術 – martial skills) and In-sool (인술 仁術 – healing skills). The martial art skills (or Musool) are divided into four categories: Nae Gong (內功 – internal training), Wae Gong (外功 – external training), Mugi Gong (武技功 or 武器功 – weapon training), and Shin Gong (神功 – mental training), which are classified into 280 different categories of over 4000 techniques. He also divided the healing aspects (or In-sool) into the six categories of Ji Ap Sool (指壓術 – acupressure), Ch’im Gu Sool (針灸術 – acupuncture and moxibustion), Yak Bang Bop (藥方法 – herbal medicine), Jup Gol Sool (接骨術 – bone setting), Hwal Bop (活法 – Special Aids), and Ki Ryuk Sool (氣力術 – Ki Power healing). Hwa Rang Do is not only an art based on self-defense, it is also a healing art. Along with having this incredible array of skills, one of the most important priorities of all Hwa Rang Do practitioners is the development of their character. Their mentality is based from the Hwarang O-Kae (오계 五戒 – Five Rules), the code of ethics of the ancient Hwarang. These standards are augmented by the Hwa Rang Do Kyo Hoon (교훈 敎訓 – Code of Ethics), which are the Dr. Joo Bang Lee’s nine principles of human morality. Hwa Rang Do training is not only about fighting techniques. Hwa Rang Do first counts a strong human moral mentality. That is why the “Way” of Hwa Rang Do (花郎道) includes strong discipline as well as the study of philosophy and human morality. It was in 1942 that Lee’s father went to Suahm Dosa at the So Kwang Sa temple in Ham Nam province of Korea (present time North Korea). He asked Suahm Dosa to teach two of his sons his ancient skills. Suahm Dosa accepted these brothers and began training them in the secret ancient Hwarang combat skills. In 1945 Korea gained its independence from the Japanese occupation (1910-1945). However, after this, Korea was divided into the northern communist territory and the southern democratic territory. So in 1948 Lee’s family and Suahm Dosa escaped together to the south. The Lee family settled in Seoul and Suahm Dosa moved to the Yang Mi Ahm sanctuary on Ohdae Mountain. Later in 1960 the Lee brothers opened their first school. It had been almost 600 years since these Hwarang combat skills were taught in the public. With the establishment of their Hwarang Musool (Hwa Rang Do) dojang the Lee brothers ended the secret passage of these Hwarang combat skills. Founder Dr. Joo Bang Lee and his brother also created the public syllabus for this new martial art identity Hwa Rang Do, that they founded. When they founded this martial art identity they divided and created the categories of techniques and ranking system for their public training system from what they had been taught by their master Suahm Dosa. In July of 1969 Suahm Dosa passed away. However, before his death he gave the 58th generation Hwarang title holder and Do Joo Nim 도주님 道主 (owner of art) position to Dr. Joo Bang Lee. In 1968, Dr. Joo Bang Lee registered the Hwa Rang Doname with the Korean Government and founded the Korean Hwa Rang DoAssociation. 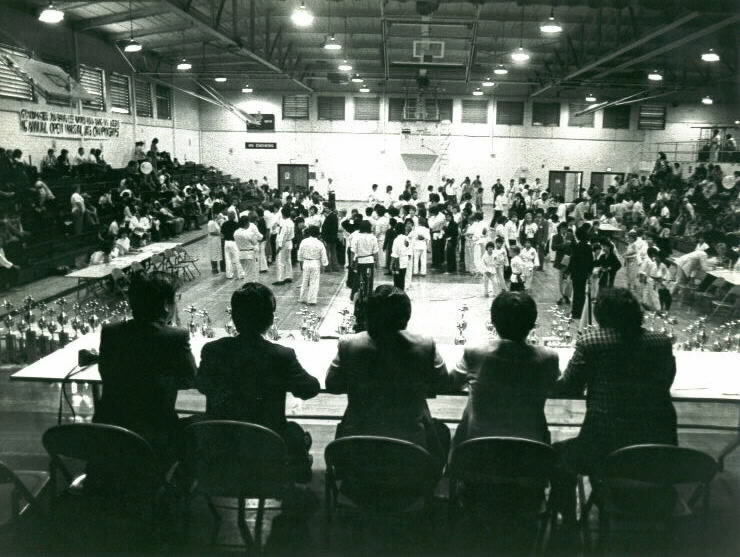 Also in 1968, Head Grandmaster (KukSunNim) JooSang Lee moved to America and opened the first Hwa Rang Doschool in the United States in Los Angeles, California. Later in 1972 Hwa Rang DoSupreme Grandmaster Dr. Joo Bang Lee moved to America and opened the World Hwa Rang DoAssociation and the Hwa Rang DoWorld Headquarters in Tustin, California. Most martial art’s World Headquarters follow their founder’s living place. So the Korean secret ancient combat skills receiver and martial art Hwa Rang Dofounder left his homeland and relocated the homeland of his art and the World Headquarters to America. 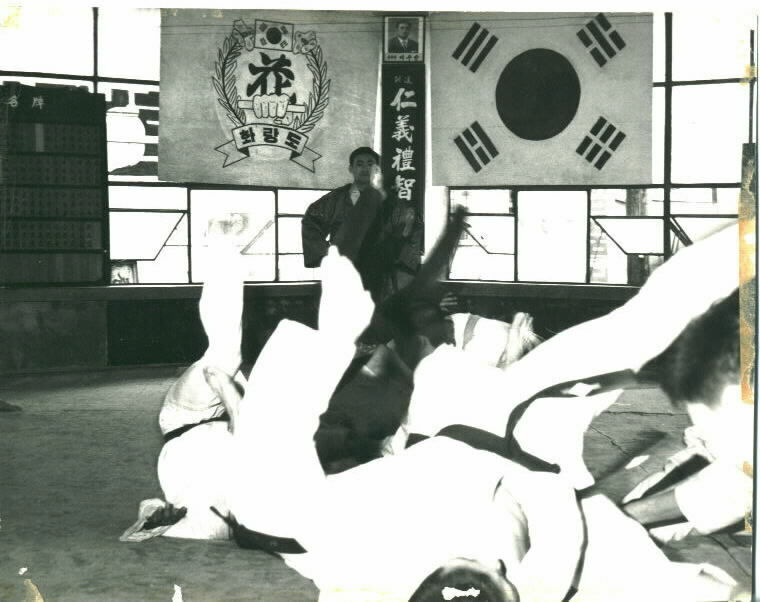 The martial art Tae Soo Do (태수도 太手道) was created in 1990 by Hwa Rang Do Founder, Dr. Joo Bang Lee. Tae Soo Do is divided into basic movement, striking and kicking techniques, self-defense, forms, weapons, sparring, and grappling similar to what you would find in Tae Kwon Do, Karate, BJJ, or Kung Fu. This was done because the martial art of Hwa Rang Do is so demanding that it requires a strength of commitment that the majority of present day practitioners do not initially possess. There is so much to learn that it has taken people without any previous training between 5-10 years before they are prepared to test for the rank of first Dan Degree. Because of this, Tae Soo Do was created as an undergraduate introduction to Hwa Rang Do. Through training in this Tae Soo Do, practitioners develop the strong foundation of physical skills and proper attitude they need to be successful in Hwa Rang Do. It takes an average of 2-3 years to achieve a black belt in Tae Soo Do. Once a student receives this rank, they graduate into the advanced program of Hwa Rang Do as a yellow sash (advanced beginner). It then takes an average of another three years for these practitioners to earn a black sash in Hwa Rang Do. 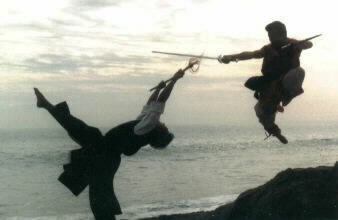 One of Hwa Rang Do’s greatest strengths and benefits is its extensive array of techniques and the training it offers in all aspects of combat skills and healing skills. Hwa Rang Do contains over 4000 techniques in addition to all the other forms and physical movement requirements. Hwa Rang Do can offer something for everyone. However, it can also be extremely difficult and take a very long time to progress, if proper fundamentals have not already been established. The Tae Soo Do program is for people with little to no previous martial art experience. Individuals that already have had previous experience in martial arts, can make a strong commitment to their training, and display a good attitude can start in the advanced program of Hwa Rang Do as a white sash. Since remembering an extensive list of techniques is difficult for most children, all children begin in the Tae Soo Do program. The name Hwa Rang Do® is internationally trademarked and we have the registered right to protect our name throughout the world. The word and characters of the Korean term Hwarang (화랑 花郎) are generic in nature. The term Hwarang can thus be used in other business contexts (e.g., a restaurant, sports team, or store). But it cannot be used by any other martial art instructional business. However, the word and characters in the martial art name Hwa Rang Do (화랑도 花郎道) are related to a specific martial art identity founded by Dr. Joo Bang Lee. Because the name of a martial art is the representation of a specific martial art instructional business identity, the name Hwa Rang Do cannot be used for any other martial art style’s identification. Examples of illegal use of our identity’s name are, Hwarang, Hwarangdo, Hwarang musool, Hwarang muye, Hwarang mudo or in combination with another martial art names such as Hwarang Tae Kwon Do, Hwarang Hapkido, etc. It should also be noted that Hwa Rang Do never gives permission to use an individual’s personal name with the Hwa Rang Do name. The titles of our academies use only the name of the city of the school added to the name Hwa Rang Do. For example, schools are called Hwa Rang Do Academy of Madison, WI, or Hwa Rang Do Club of Portland, OR. Similar to the names of our academies, all other countries use the name of their country as a chapter of the World Hwa Rang Do Association (e.g., Korean chapter of the World Hwa Rang Do Association). We have this rule to protect our art from those who were expelled by breaking the rules of our tradition or who have damaged our strong sense of family and who do not respect martial art loyalty and act in ways that damage the reputation and integrity of our art’s name. If you need any details about our rules and laws please check out our rules and bylaws. In this way we ensure that there is only one governing organization for Hwa Rang Do throughout the entire world. This organization is controlled by the Hwa Rang Do World Headquarters which is located in Tustin, California. instructor and they are not on this listing or do not have our founder’s certification, they are a liar. So please check first before you train. If you want to join our Hwa Rang Do family please contact the Hwa Rang Do World Headquarters and we will direct you to the best option for training in this art.